In general bird skulls are the easiest parts of a skeleton to identify the species for the average birder. This website is about the skulls and skeletons of seabrds and may be a help to identify remains of seabirds found on the beach or elsewhere. It also treats the functional morphology: the relation between form and function. Almost all distinct groups or genera have their own page. The species pages contain lists of all species and subspecies, their global distribution, a short note on the evolutionary position and relation between the species, a note on some relevant behavioural aspects and pictures of the skulls when available. Following pages treat other osteological characteristics of the family, genus and or species. Under Seabird Osteology in the main menu general aspects of seabird osteology are explained. You might be missing certain pages. I'm working on this behind the screens. There is always work in progress, which means that there will be changes, additions and improvements from time to time. Mysteriously rare or overwhelmingly abundant, but always beautiful. Petrels, albatrosses, cormorants, frigatebirds, gulls etc. are mysterious and inspiring birds: often the subject of poetic stories and lots of myths around the world. Albatrosses as the incarnated souls of drowned seamen following ships on motionless wings were a bad omen to many living sailors. The horrifying screams of petrels and shearwaters coming to their burrows after sunset have given rise to all kinds of beliefs. The coastal species are often well known, but many stay out of sight and are seldom seen by most people. In many cases only known when found dead on the beach. And then there is often not much left of them because of their scavenging fellows. Luckily the skull or at least a part of it is often still present. The skulls and skeletal parts shown on this website are from my own and several other private and museum collections. However, many species are not shown yet because it is difficult to compile a complete collection of good material. Even museums often have not many skulls in their collections and, if they have, many are damaged, incomplete or otherwise in poor condition. Several people and institutions have contributed to Seabird Ostelogy website by offering skulls on loan or in exchange or by providing good pictures. There are many threats to seabirds: pollution in the broadest sense: chemicals and all kinds of plastic debris - the so called plastic soup - that are ingested. 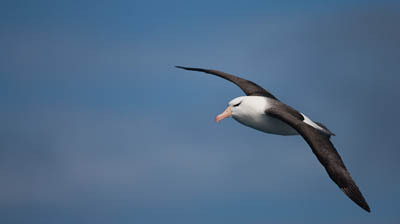 But also modern fishing techniques such as long-line fishing, large scale fishing activities on seabird food resources, destruction of habitat and the introduction of pests at breeding grounds form seriuos threats. 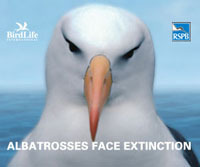 Just a few examples of serious risks for individual seabirds or even entire populations. Seabirds deserve our greatest care and their protection should be a top priority to any government or organization with activities that affect seabirds. The taxonomic and descriptive information on this website comes from various sources: the well known handbooks, monographs, identification guides, articles, John Warham's comprehensive two volume work on the Petrels and my own findings. The general literature is not always mentioned, but specific literature is listed in the References and often downloadable. I want to emphasize that to the best of my knowledge nearly none of the skulls and skeletons shown are collected by killing birds for the purpose. The majority is from beachcast birds that were found dead. Sorry to say, but many did not die from natural causes. Killed by oil pollution, starved after eating garbage, entangled and drowned in fishing gear, crashed after power line collisions or some other man made cause. Among some of the museum specimens that have been pictured here are a few that might have been killed for scientific purposes. Copyright (c) 2002 - 2013 Shearwater.nl. All rights reserved.